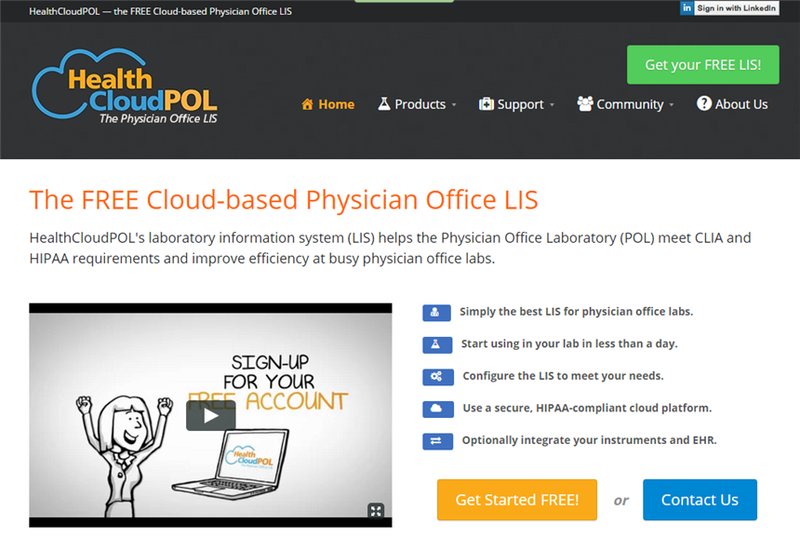 This menu item in the HealthCloudPOL application links to the HealthCloudPOL User site, where you can access the HCPOL User Group and Forum, Knowledge Base, User Guide/Manual and other resources, and find contact information to help you with your LabLynx HealthCloud Physician Office LIS. Clicking on this menu item opens a window to the HealthCloudPOL support site at http://Healthcloudpol.com/support. Use this site to stay abreast of current releases, issues, plans and more, get help, and trade experiences and ideas with other users, access the Help Desk and Manual, etc.